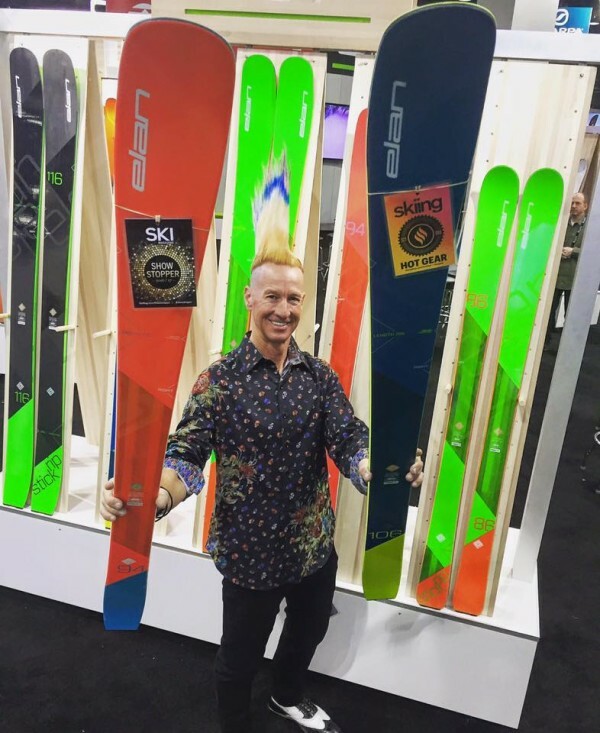 We were able to get our hands on not only one, but two pair of Elan’s coveted “test ski,” dubbed the Ripstick. Keeping in mind that only something like 200 of these things were even made available as an early release in the U.S. We were pretty stoked to add them to the quiver. The following is a collaboration between Jason and Josh, with Josh providing the initial on-snow experience. Plan for follow up reviews! At first look the Ripstick is somewhat of a mystery. Very little in the way of markings that let you know what it is, or who it is made by. The subtle Elan logo toward the tip and the “Test Ski” printed on the tail is it. Color of choice for Elan? What else, flat black. This thing looks straight up nasty and garners some attention in the lift line. 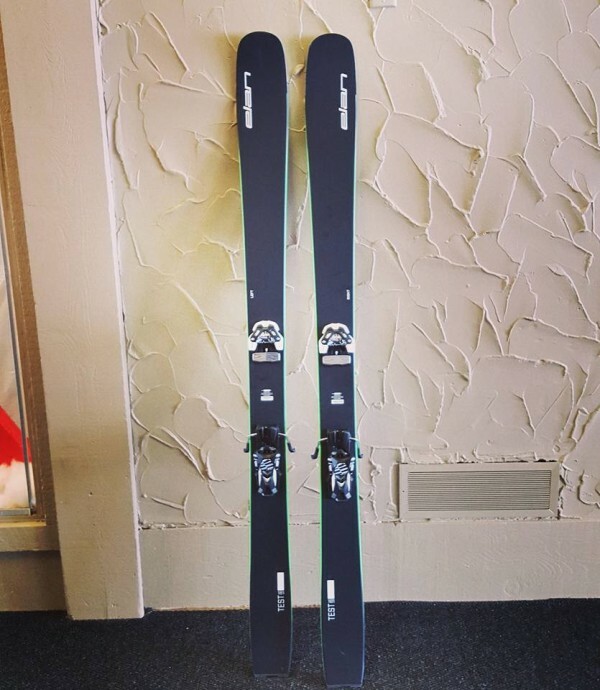 Having the skis in our possession now for about a month, we figured it was time to release some photos and give a quick rundown on technical specs, what we’re liking and not liking so far. First impressions of the ski are positive. The fit and finish, even for an early release, is solid. Construction is per the usual with what we would expect from Elan and its heritage. Picking up the Ripstick you’ll notice these things are super light. We both are running a 181 cm setup with a dimension of 140/106/122. Jason is currently running a standard Attack 13 that will be swapped for an Adrenaline setup, while Josh immediately opted for a Marker Baron EPF as his connection. I was fortunate to spend my first day on the Ripstick in 8-10 inches in the fluffiest Michigan snow I have ever seen, up at Nubs Nob. We spent the majority of our day bouncing between the gladded areas at Nubs. The two carbon tubes running the length of the ski along the lightweight wood core and vapor inserts in the tip and tail drastically reduce weight on the ski without sacrificing any performance. The skis easily floated through the soft snow in the morning and were quite maneuverable, snapping turns through the trees as the resort turned to a mix of ice and afternoon crud throughout the day. My next few days on the Ripstick were spent in Vail, Keystone and Breckenridge, Colorado. We experienced the full run of snow starting off with 40 degree slush on Friday and Saturday, then 11 inches of heavy powder on Sunday and finally a 6 inch day that quickly turned out to be soft, but chopped up on Monday. 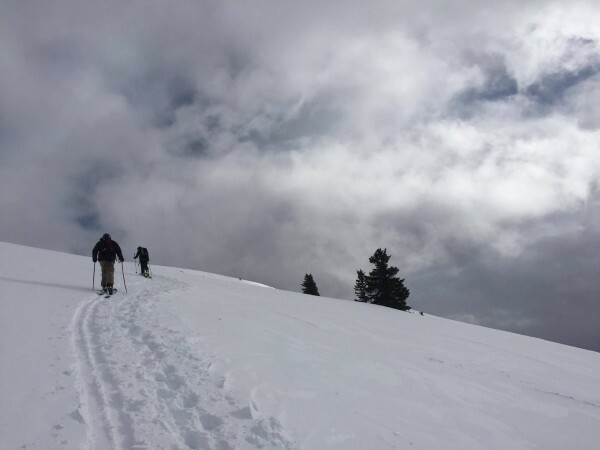 Friday was a mix of skiing and boot-packing around Blue-Sky Basin, the Ripstick had no issues maneuvering through the wet snow and felt light to the shoulder when carrying through gates. Saturday we put the AT bindings to use and skinned up to East Vail for a nice morning lap. The skis were relatively light on the skin track and moved nicely uphill. 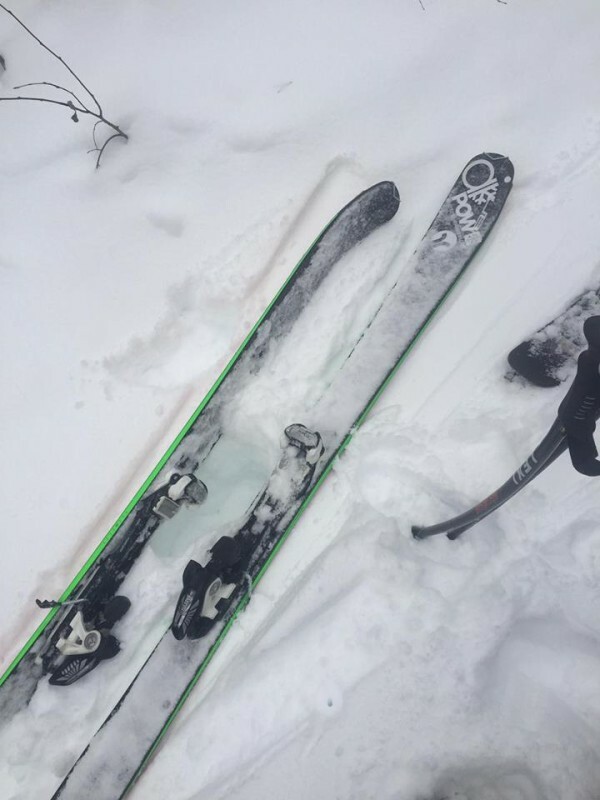 The reduced weight on these skis was great for saving leg energy for the decent. The snow in East Vail was relatively powdery at the top and quickly turned to mash-potatoes on the way down. The Ripstick glided nicely across the mixed conditions and I never felt uncomfortable slashing through the wet and heavy snow. The “test” Ripstick I was skiing is 106 underfoot, there will be a larger offering this upcoming fall. At 106, mine struggled to stay above the snow on Sunday, the heaviest snow day, in some low angle bowl skiing, but excelled in steeper glades with an equal amount of snow. Monday provided a little over 6 inches at Breckenridge, we spend the majority of the day making laps on the t-bar finding leftover powder stashes and spaced out trees. The Ripstick excelled in this terrain and felt comfortable at high speeds through the chopped up snow. Having the opportunity to open up the throttle on some bigger terrain, the Ripstick held an edge for medium to long radius turns on the hard pack and was able to bust through crud with little trouble. The Ripstick was snappy edge to edge with little to no vibration. The turned up tail allowed you to dump speed when necessary and comes with a nice notch for hooking up skins. My initial reaction to the Ripstick was great and with the opportunity to ride it out west, it solidified my thoughts that this is going to be an outstanding all-mountain ski. The lightweight construction and versatile shape will allow you to explore the entire mountain without having to drag any extra weight with you. The ski preferred to go fast and performed better at higher speeds. I see this ski being ideal for someone looking for a one-quiver ski, who will be skiing a mix of terrain and conditions. Overall weight on these skis is very low, making an uphill tour easier on the body. Reduced swing weight up front made these turn effortlessly on the decent. The Ripstick excels at medium to long radius turns with little to no vibration on varied snow conditions. Built-in notch on the tail makes these skin-friendly and ready for immediate touring action. At 106 underfoot, this ski is wide enough to be a one-ski-quiver for most, however we found it struggling a touch to stay up on top in the low angle conditions. Give us more time and we’re sure to nail down more points.